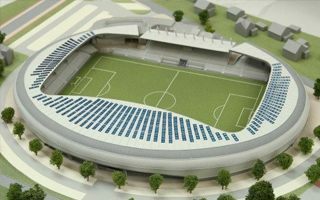 Updated version of the Karvina stadium design was presented in 2014. 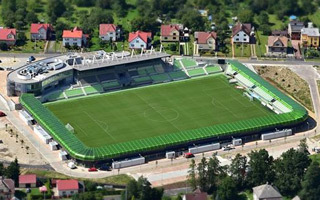 Changes were forced by insufficient funding and included most importantly completely new three stands. 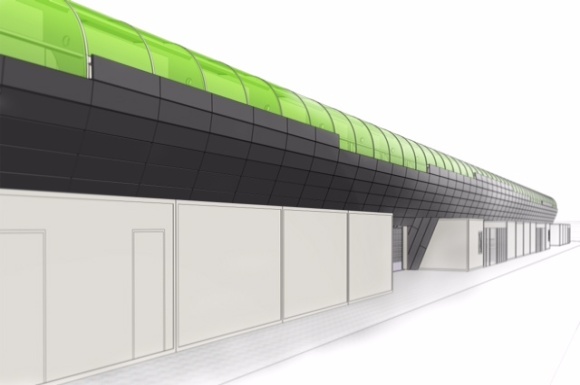 Previously planned to be built with concrete, now they’re expected to be steel and as compact as possible. This forced cutting down on capacity, but the plan for main grandstand remained mostly unchanged – including renovation of existing structures and a brand new pavilion. 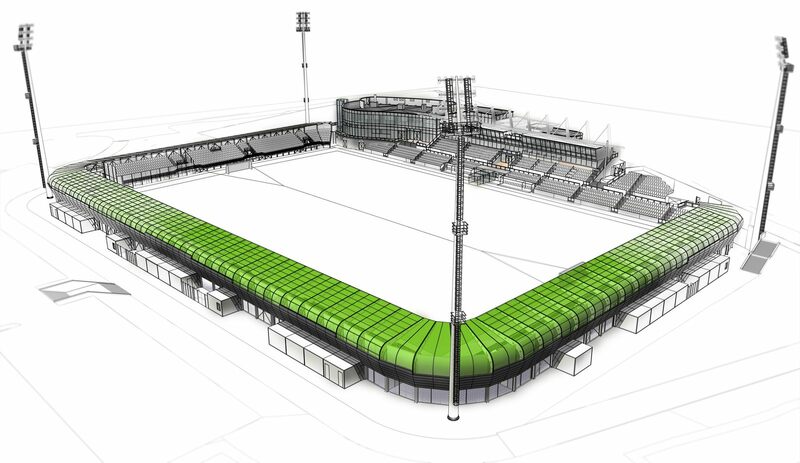 Most importantly, the stadium is affordable with total budget of CZK 270 million (just over 50% of the original cost) and at the same time foresees all features required by domestic and international regulations, like floodlights, under-soil heating and comfortable amenities for fans. Construction should start in October 2014.